Eco-Wool is a brand of wool from Woolgatherer Carding Mill of Northern California. It is a 100 year old wool mill that is certified organic by Oregon Tilth. Because its carding equipment was originally designed to create very clean batting with high loft, Woolgatherer has chosen to focus on high-quality wool batting blends. Although wool fiber is processed gently and organically, the sheep are often, but not always raised to USDA organic standards. It is basically “uncertified organic” wool. Getting the USDA organic certification is an expensive, time-consuming process that smaller wool suppliers cannot afford. Many of the wool suppliers actually do follow organic guidelines but don’t have the manpower and resources to get organic certification, so they produce Eco-Wool. Every fiber is carefully chosen to create a special blend of domestic wool that can even be as clean, chemical-free and lofty as organic wool. High quality Eco-Wool gives U.S. farmers a market for their “uncertified organic” wool products. Woolgatherer Carding Mill has a personal relationship with each one of its primarily Northwest-region farmers that helps ensure high standards of quality, cleanliness, as well as humane treatment of the sheep. It requires that the fleece has a minimal amount of vegetable matter, specific thickness and crimp and that the fleece is not treated with any harsh chemicals. Its producers must also adhere to its industry-leading sustainability and cruelty-free standards. One such standard is rotating sheep to different fields to allow the vegetation time to recover. Another is avoidance of overstocking the pastures. Overstocking and infrequent rotation can hasten soil erosion which allows invasive plants to spread and can subsequently require outside feed to be brought in. Woolgatherer Carding Mill also encourages its suppliers to use trained sheep-guardian-dogs, and mix other larger animals in with the flock, such as wary llamas, so that predators can be spared. Further, it requires that only certain medications and supplements can be given to the sheep. It discourages the use of herbicides and pesticides on the fields, and can determine if wool has been in contact with harmful chemicals during routine testing. Buying Eco-Wool supports the local economy, while reducing the wool’s carbon footprint. These days, almost all other organic wool is from New Zealand, Australia or China. Eco-Wool is also free of toxic chemicals. 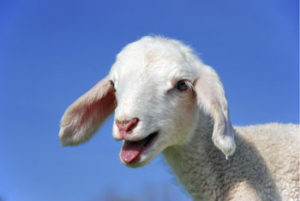 Non-organic wool is usually cleaned using acid or chlorine. Woolgatherer uses a biodegradable, much gentler soap product. The Woolgatherer Carding Mill is also unique in how it cards wool. Most mills run the wool once through a simple garneting machine. Woolgatherer uses a carding machine and combs the wool through 3 breaker/carders that produce batting that is both cleaner and loftier/fluffier than garneted wool. At nearly every step along the process, Eco-Wool is superior not just to regular wool but also many certified organic wools.